I'm way behind in my Christmas decorating this year. Since I don't have my decorations unpacked yet, I decided to create a little vignette in my dining area with thrift store and Dollar tree finds. 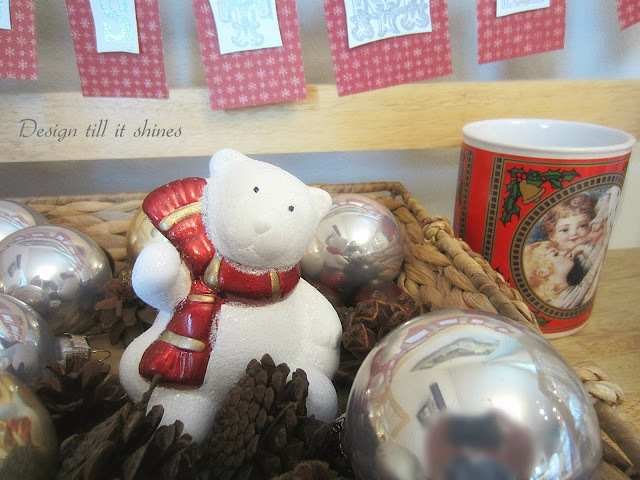 I found some cute polar bears at Dollar tree, so I created a whimsical display. 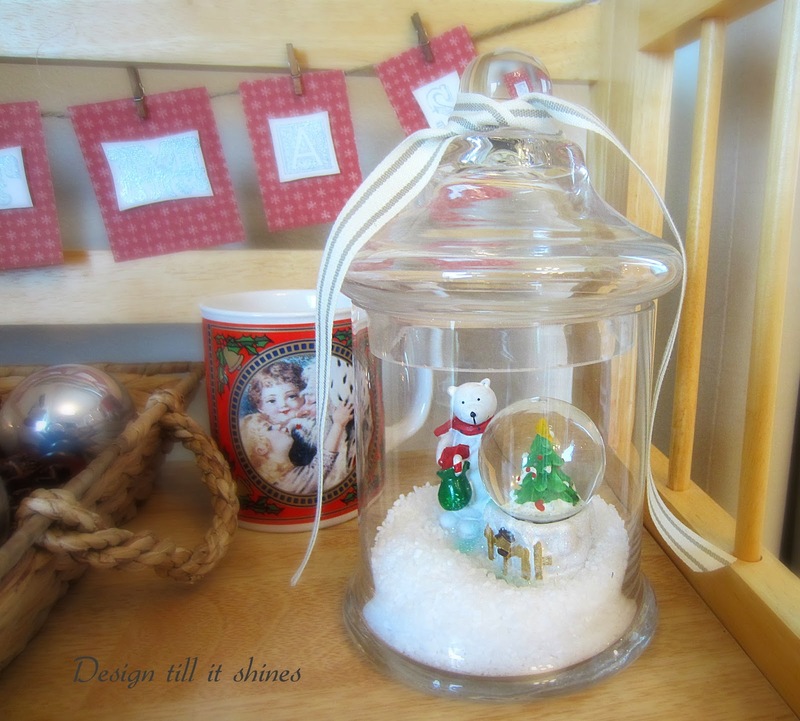 A sweet little snow globe added to my glass jar. A cute set of bears for my basket with some vintage ornaments and pine cones. 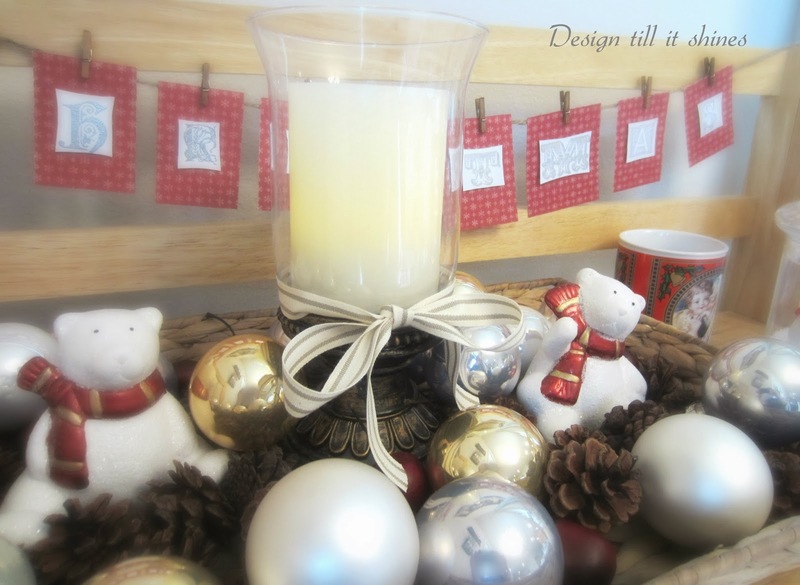 I already had the candle and added a striped fabric ribbon. 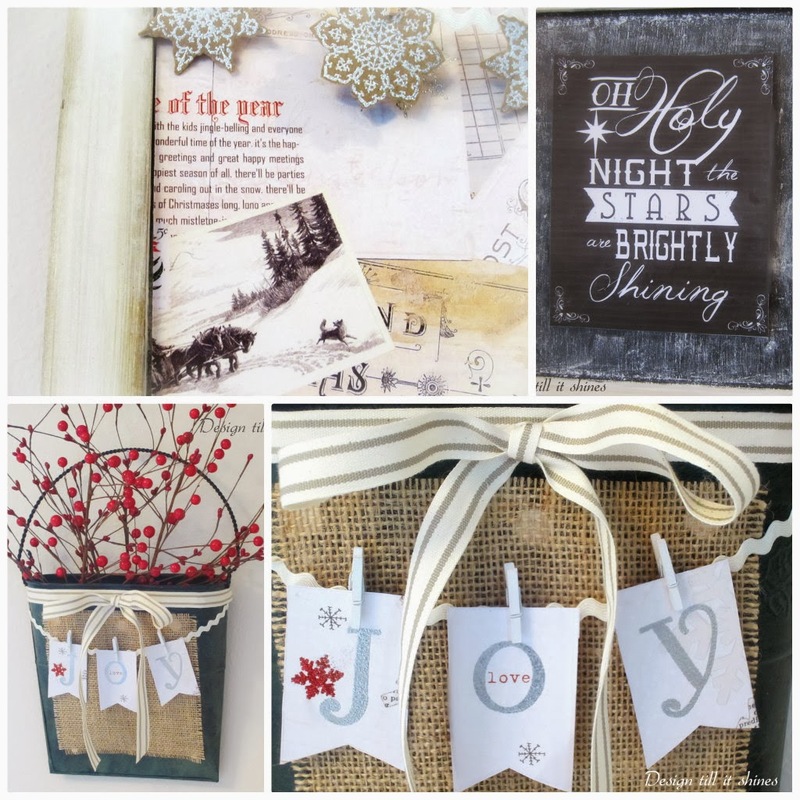 I created a Christmas banner with some quirky alphabet letter stamps I had. Adding to the whimsical feel. 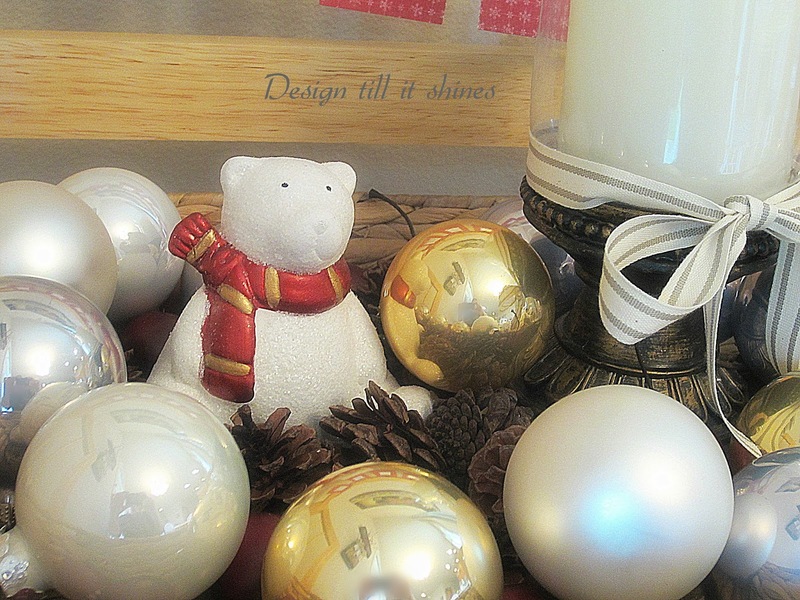 I've always liked polar bears for a Christmas vignette. This one is so cute, waving it's little paw. I haven't had much luck at Dollar tree lately, so I was glad to find these. Also, a thrift store vintage Christmas mug. 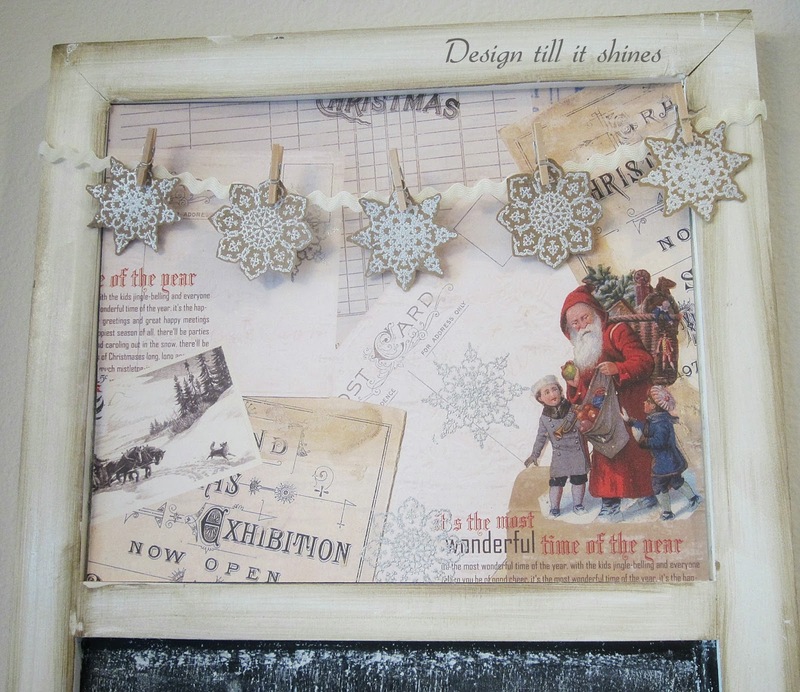 Something sweet and simple with a few vintage ornaments as well. I also repurposed my wall pocket and created a joy banner. 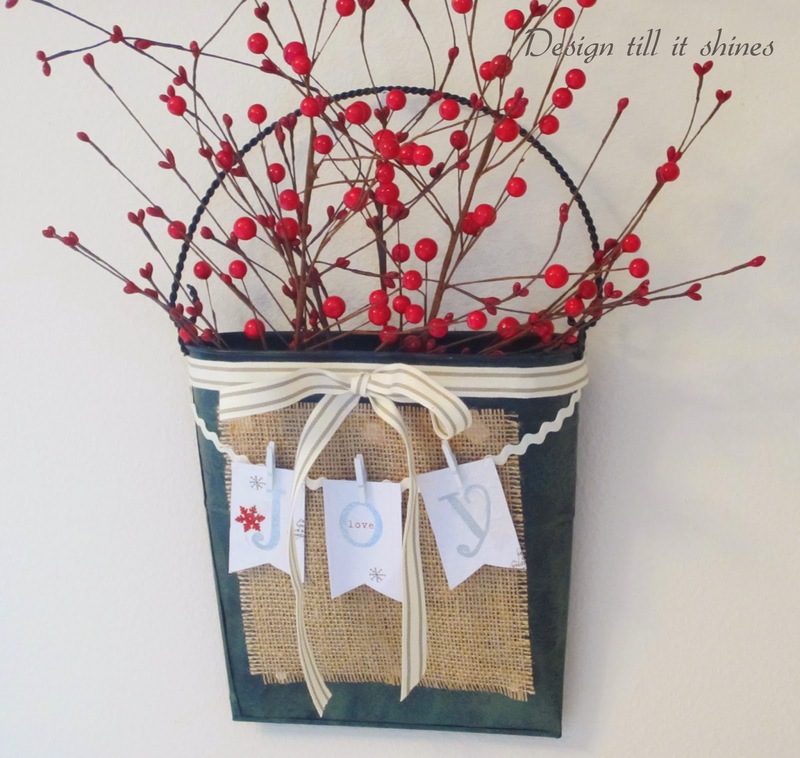 I put it together with some faux Christmas berries, banner with rick rack trim and fabric ribbon. Adding a little Joy to the season. 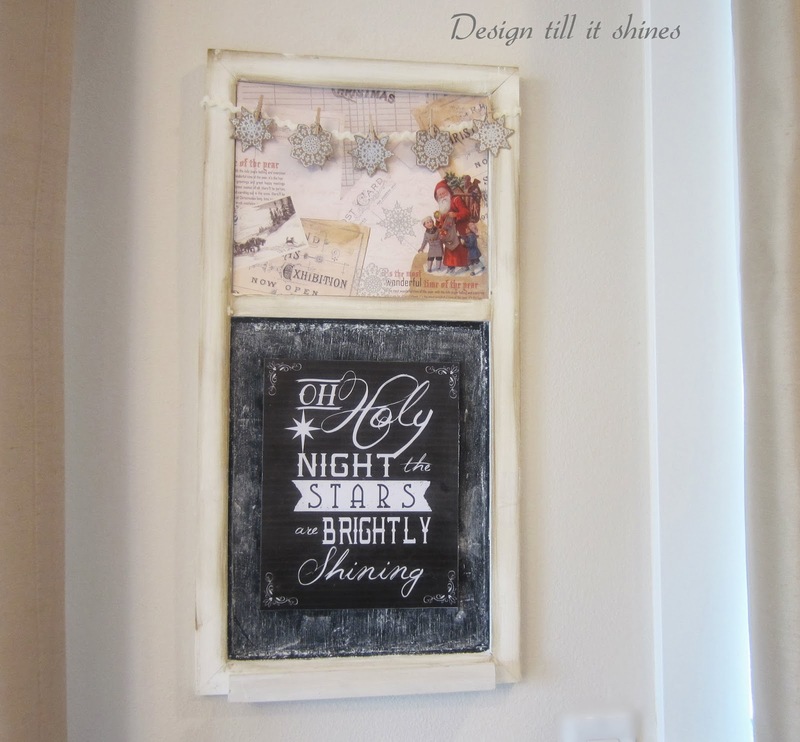 I wanted to reuse my small chalkboard so I added some scrapbook paper and a Christmas printable. I love the old fashioned vintage look of this paper. 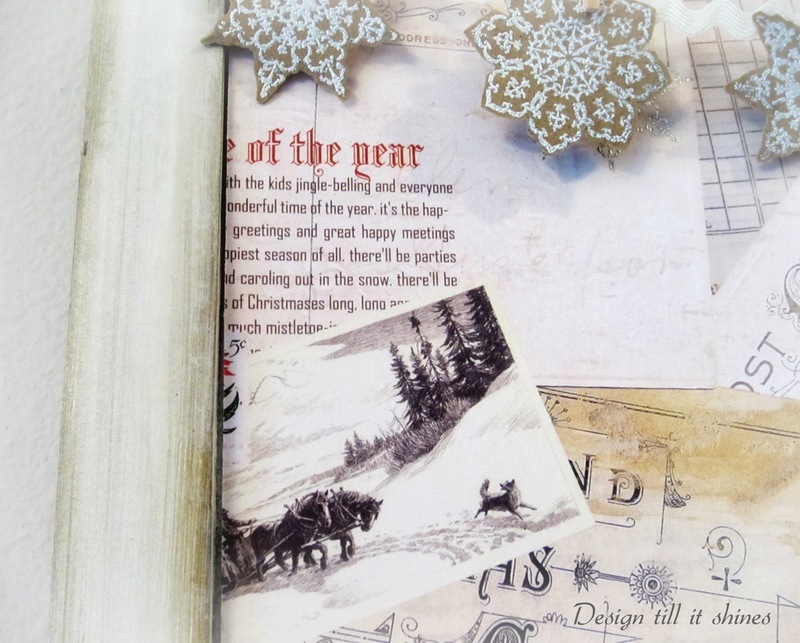 I added some snowflakes I created to add to the winter theme. 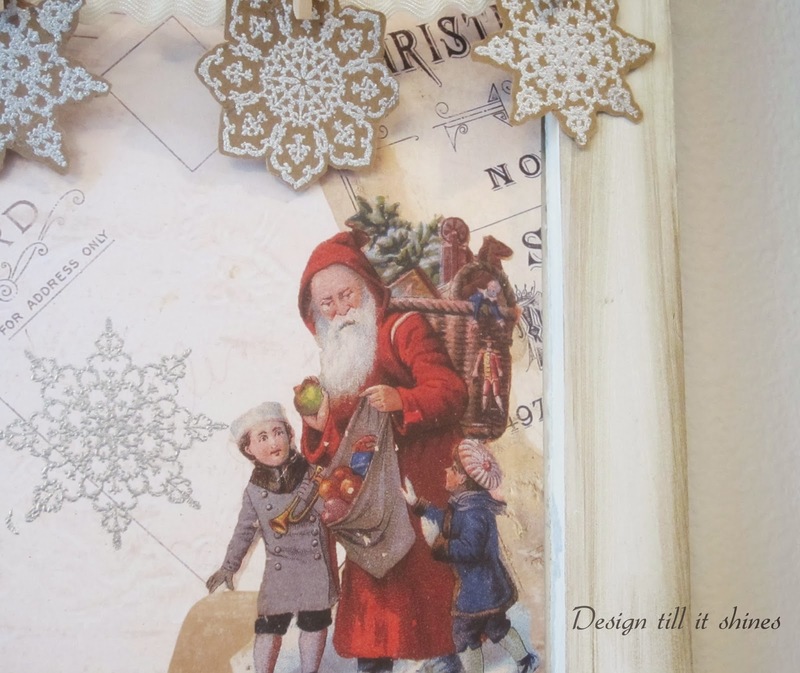 A closer view of the old fashioned Santa and the silver embossed snowflakes. I love this image of the horses trudging through the snow. 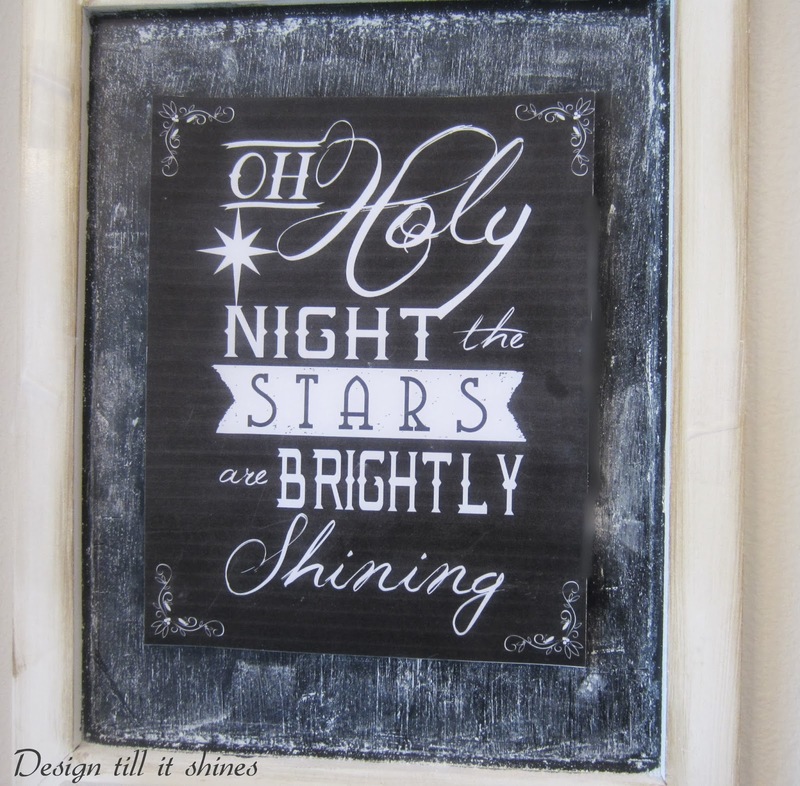 I don't remember where I found this chalkboard printable, but it is one of my favorite Christmas hymns. 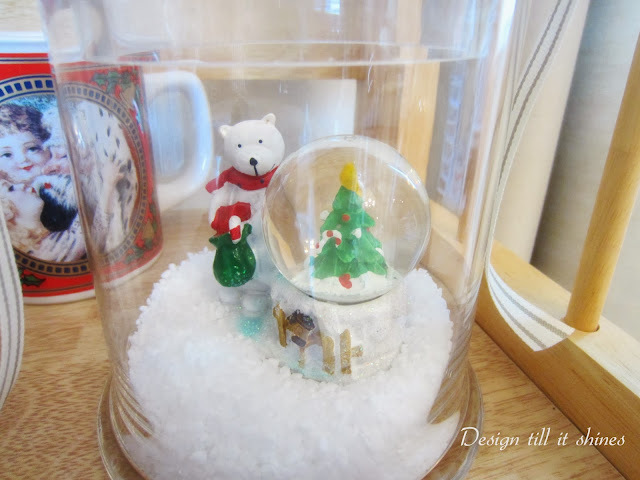 A closer look at my Christmas snow globe. I always enjoy putting together a few simple things and adding a festive touch for very little. Just a little sneak peek of what I've been doing. More decorating on the way. Thanks for stopping by! For someone who says she is behind, you have done a lot. I love all the simple little vignettes, but my favorite is the JOY banner. 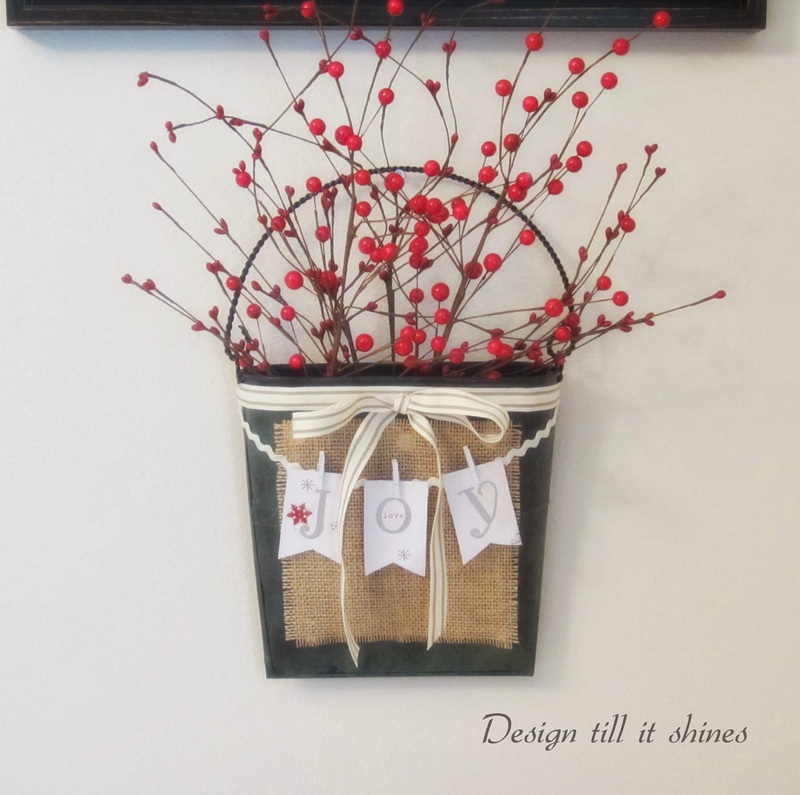 There is a basket to hang from the front door on the top of my Christmas wish list. I like the idea of swapping it out by season or holiday. I might just copy your idea with the berries if I am lucky enough to get it. Everything looks great!! Love, love, love what you did with the chalkboard!! So sweet. I love the mix of red, white, and silver. It's so much to decorate for Christmas! I'd say you've done very well without unpacking your Christmas stuff. I've often wondered what it would be like if I just didn't unpack the boxes one year and just simplified to a great degree. Might be nice for a change. Such a calm and charming Christmas scene, starring my favourite colours, with a dash of powdery whimsy and sparkly fun! The wall pocket of berries is just TOO sweet! Diane I am loving your vignette. I love the little polar bears also, but my favorite is the JOY banner! I'm pinning that! Thanks for sharing at TTF! Great touches you've created, and it doesn't appear that you are behind at all. For someone who is behind with decorating, this is amazing. I don't think you are behind at all. I love bears and yours are too cute. The banners are all marvelous. Merry Christmas! Everything looks great. 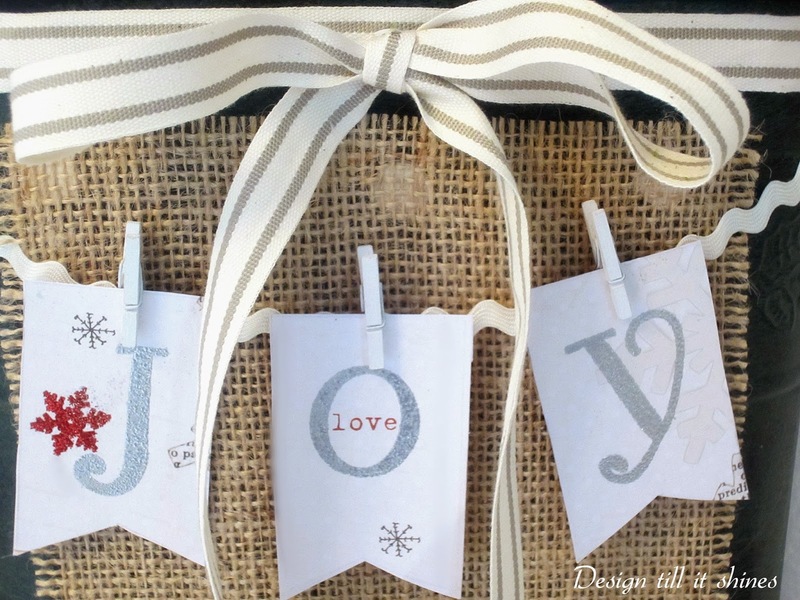 I especially love the joy banner and the way you dressed up your chalkboard! Thanks for sharing with SYC. I hopped over from your feature at The Cottage Market to see your decorations today. They're adorable!